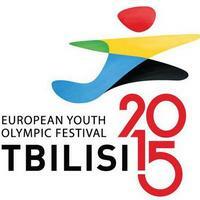 Europe’s top men’s and women’s under 17 national teams are currently playing in the European Youth Olympic Festival 2015 in the Georgian capital Tbilisi. The men’s event comprises teams from Hungary, Denmark, Norway and Germany, France, Switzerland, Slovenia and Georgia, whilst Denmark, Norway, Germany and Montenegro, Russia, Czech Republic, Romania and Georgia play in the women’s event. The latest results can be found on the eurohandball.com website (men / women) and all matches can be followed via live ticker. Selected matches are also available via the YouTube channel of the Georgian Handball Federation. The handball event will wrap up in a few days’ time with semi-finals to be played on 31 July and finals on 1 August 2015.